The Australian summer is right around the corner! And you know what that means – Christmas, cricket, music festivals, New Year’s, exciting beach trips… the list of fun summer activities goes on! Yes, the summer heat can be great… if you’re outside. But when you’re indoors, trying to read a book, cook dinner or even do something as simple as unwind after a long day at work, all of a sudden, the heat isn’t quite your best friend anymore! And with summer (and the soaring temperatures and high humidity levels) well on the way, it’s a time when we consume more electricity in our homes. And with that comes greater vulnerability to electrical hazards, the risk of electrical fire, and not to mention, higher power bills – the heat might not be the only thing leaving you sweating this season! 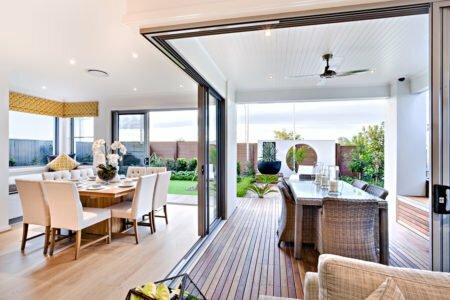 At Briggs Electrical, we believe in promoting efficient electrical safety and cost saving measures for your home this summer. That’s why today, we’ll be going over some simple but brilliant strategies you can use to cope with the heat, while protecting your home and lightening the load on your wallet. Remember, if you need an emergency electrician throughout the silly season, call Briggs. Our team is on call 24-7 to help you with all kinds of electrical issues this summer! When you come home from a long day at work or a day out, the last thing you want to be greeted by is a sweltering house. But before you reach for the air conditioner remote, consider this: your home’s air conditioner can be one of the most energy-intensive appliances in your entire residence. Now, we aren’t saying that you should forgo air conditioning completely… especially during the sweltering Australian summer! Besides, we all know you probably wouldn’t listen anyway if we suggested quitting AC cold turkey. Set your AC thermostat to about 25.5 degrees Celsius – the recommended temperature for most home cooling systems. Avoid leaving it on for an extended period of time. Dirty filters can cause your AC to work harder, and therefore use more energy. Get them cleaned to notice an immediate difference. Some other general tips include ensuring that your AC unit receives regular maintenance and is in good operational order. Overworking your air conditioner or using a damaged AC unit can lead to electrical fires. So before summer officially arrives (though it feels like she’s been here for a few weeks already! ), we strongly suggest getting your AC checked to make sure it’s up to the task of keeping you cool through ‘til March! Creative ways of keeping cool… without AC! Air conditioning isn’t the only weapon you have at your disposal in the fight against the heat, however. There are plenty of neat little tricks you can use to bring down the mercury, even without an air conditioning system. windows. It can be quite efficient at times; not to mention, it’s free! If you’re lucky enough to have a strong breeze blowing your way, then you’ve already got a leg up! Of course, if you’re not fortunate enough to have a good wind, making this technique truly effective is a bit more involved that just turning on the air con… simply opening your windows mightn’t be enough! Fortunately, there are a few simple life hacks you can use to maximise the cooling power of your windows. One simple habit to get into regarding your windows is to open your windows at night, when the air is cooler to let the warm air escape and the cool night air fill the void. You can take your window cooling to the next level by combining your windows with electric ceiling fans. Ceiling fans are actually really useful: not only can they help make a space feel cooler in summer, they can also make a space feel warmer in winter. The secret lies in the direction in which the fan’s blades spin. It’s also good to know that electric ceiling fans do not actually lower the temperature of a room; but instead change how cool a room feels. 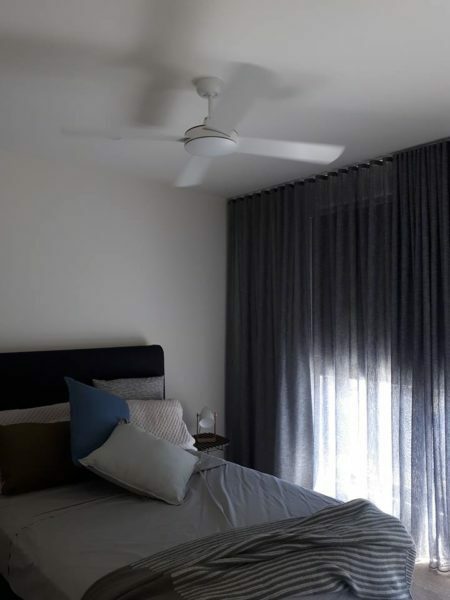 Read more about ceiling fan installation in this blog post. At Briggs Electrical, we are big believers in preventing electrical problems before they have a chance to occur. And when it comes to keeping your house cool, it’s no different! There are many options available to homeowners to stop the heat coming into your home to begin with. Keeping all your curtains pulled down during daylight hours to reduce the amount of heat that comes in is a simple habit to get into… but trust us, it makes a difference! To avoid making your home hotter than it is, it is best to avoid using heat generating appliances… especially during the hottest times of the day. When you do, you make your home’s cooling system to run harder, leading to more energy being used. More importantly however, it also makes your house even hotter than it already is! To minimise indoor heat, we suggest avoiding the usage of major appliances between 2pm and 8pm. When it comes to lighting, we also suggest installing energy-efficient LED lights. Not only are these types of lightbulb more efficient than traditional incandescent bulbs, but they run cooler as well! We share more important info about switching to LED lighting in this blog post. Also remember to unplug appliances and electronic devices when you’re not using them. Unplugging them not only decreases heat, but also protects you from any unexpected electrical hazards. Need an emergency electrician throughout summer? Remember the Briggs Electrical name! Summer can be a challenging time of year – the kids are out of school, you’ve got Christmas to prepare for… and above all, it’s hot! For any emergency-related electrical issues over the entire summer break, remember that Briggs are never more than a phone call away. Throughout summer and on-call 24 hours a day, our team of qualified emergency electricians will be there when you need us most. We recommend saving our number in your phone – your future self will thank you. Call anytime: 1300 300 222. Alternatively, fill in this form and we will get in touch.